your perfect companion.. for any domestic or wilderness activities that require cutting, whacking, hacking etc - to perform and to survive.. CARRY ONE, CARRY ON.. Yet another addition to already existing Biltong kukri family. 5160 Biltong Plus is made from 5160 high carbon steel and hence the name. Due to high carbon steel it is much stronger and can be used for tough work like hacking and slashing. Manufacturing smaller knife is much laborious than making a larger blade as it takes minute details to work on, hence this blade is made by skilled craftsmen taking longer and harder time. 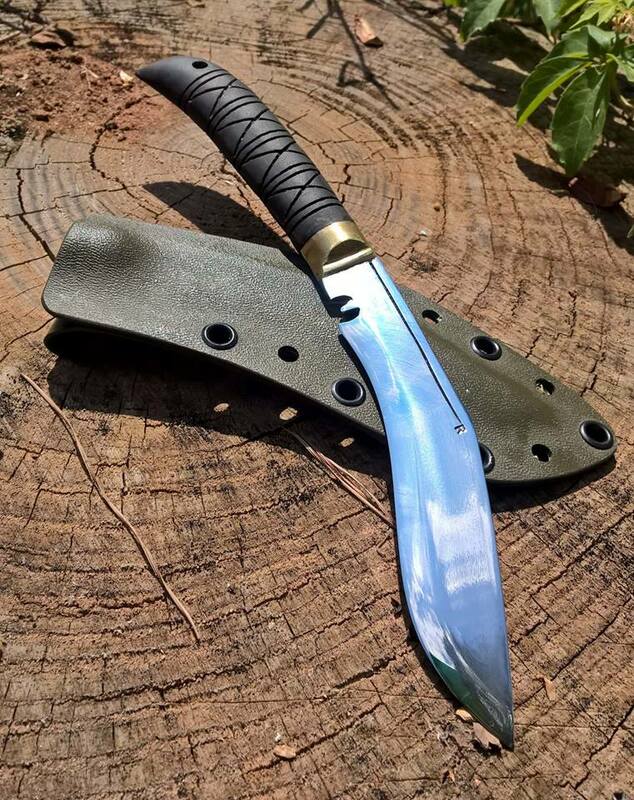 Newly released in 2018, Biltong PLUS is a better and stronger version of famous Biltong (Pocket Kukri) knife. 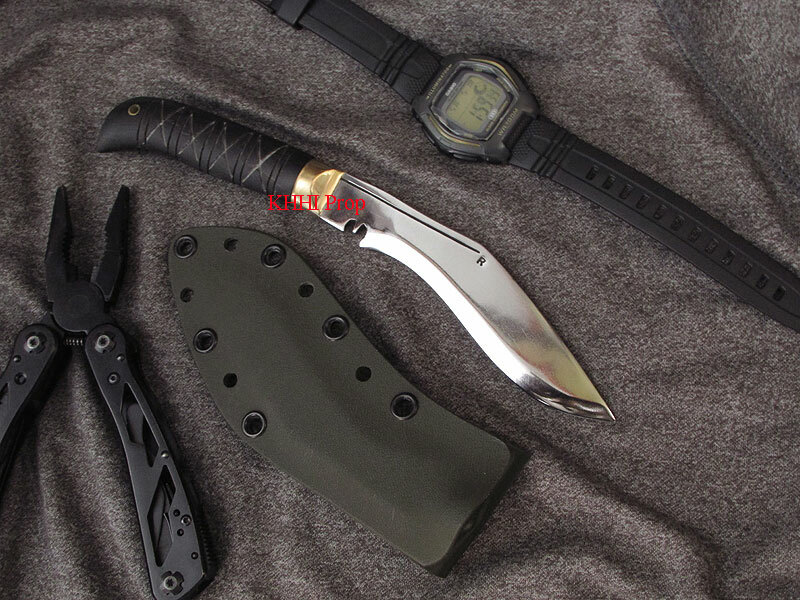 This Biltong PLUS kukri has an attraction; it comes with Army Green Kydex sheath, that gives attractive look but also very functional. 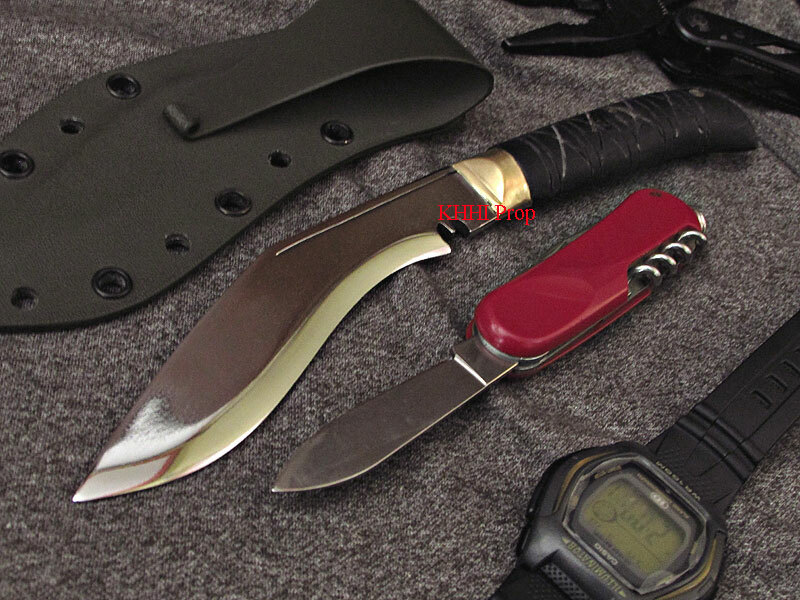 Another attraction this kukri has is its handle - made for comfortable usage. The eagle head shaped contour in the handle provides easy and prick-free hold. It also has cross ridges in the handle that gives sturdy hold and non-slippery grip. The handle is made of horn. Just the opposite of its handle, the blade is highly polished to avoid rusting, for easy maintenance and for the good look. 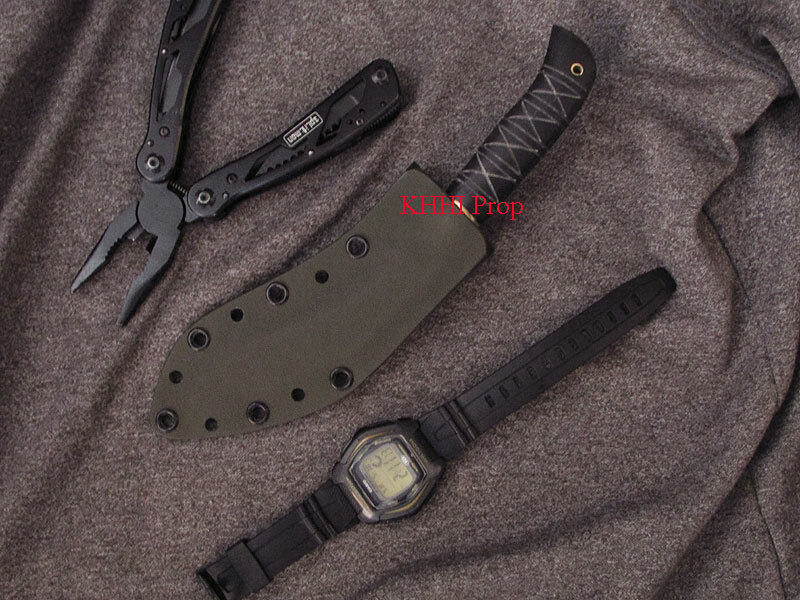 5160 Biltong PLUS Kukri knife can be used both as hacking knife and for domestic purpose as cutting knives. 5160 Biltong PLUS truly compliments the saying “Small is beautiful!”. CARRY ONE, CARRY ON!! widest = 25 mm approx. narrowest = 19 mm approx. I like the knives I bought quite a bit. One suggestion is that the handle is a little small. A wider handle would be easier to grip. part of my "active file"! As expected, I really like my new "Biltong Plus" khukuri. I think that it is a well-thought-out up-sizing and upgrading of an already fine little knife. The "Plus's" larger blade dimensions make it possibly just a bit better "utility knife" than the Biltong is, though the older knife is certainly no slouch in that department. I am also impressed by the "Plus's" handle. It is a bit more "slender" than many Westerner's are accustomed to but it impresses by the comfortable"ergonomics' of its "long oval" profile and the well-done cross-hatching on its buffalo horn handle material. 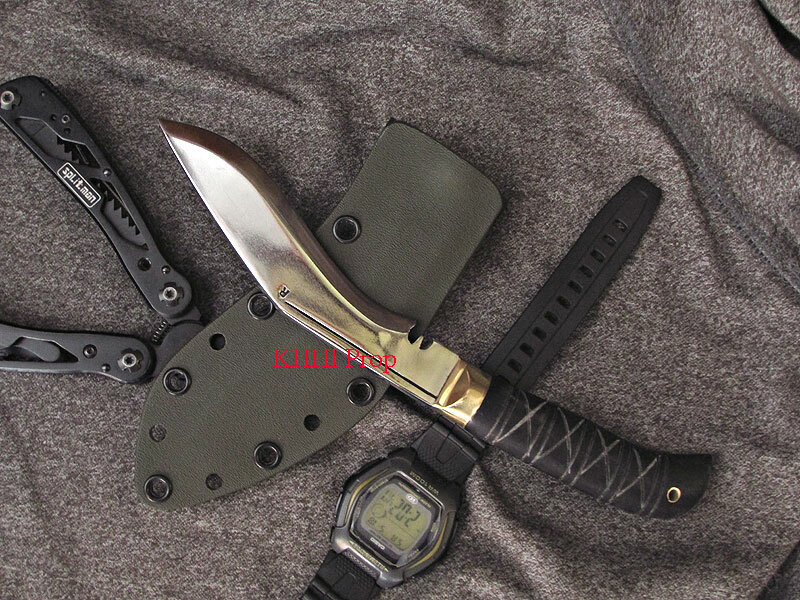 I also appreciate the fact that the knife comes with a kydex sheath, which seems to suit the "concept" of the piece very well. The knife is also very well-executed with excellent profiling, fit and finish. Mr.Rajkumar Biswakarma ("R") did a very fine job with this knife. The knife came with a "nice edge" that a few strokes with a ceramic stick has turned into a "scary edge". My new "Biltong Plus" is now part of my "active file"! Being big fan of Khukuris I was looking for something a little different and this was it. This is a great for a belt knife. If are looking for something different, then I recommend this little jewel. I just received the x2 5160 Biltong PLUS last night. I am extremely happy with how they look, feel, and the quality of them. One was a gift for my brother, who was very happy to receive it. 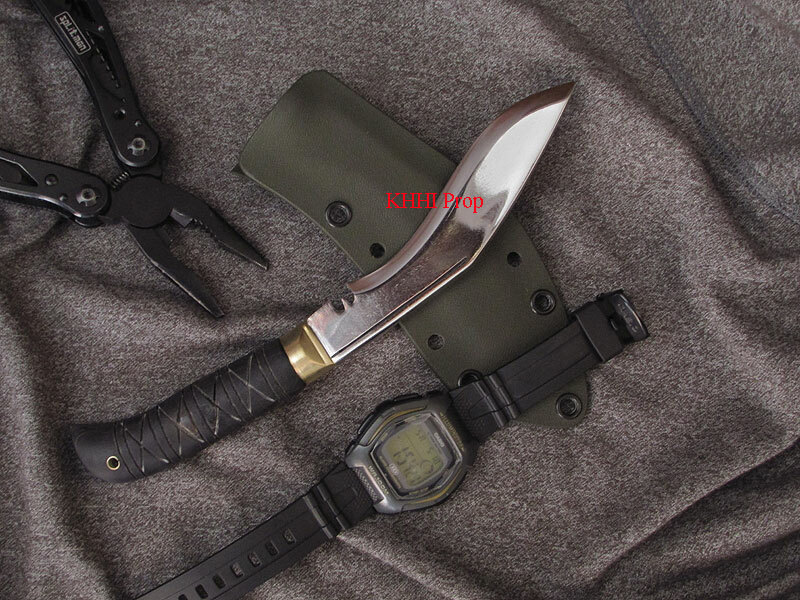 I am positive both khukuri’s will give my brother and I many years of great service. Thank you for your the great khukuris and great service. Excellent craftmanship on this 5160 Biltong Plus, i am very pleased. Thank you Khhi Nepal , looking forward to the rest. Rip Lee‎ Stone Mountain, Georgia, United States.